On May 1, 2015, we had a Q&A interview with Edward (Ned) Hallowell, MD, renowned child and adolescent psychiatrist, internationally-known speaker, leading expert on ADHD, and New York Times bestselling author of 20 books, most recently Driven to Distraction at Work: How to focus and be more productive. How is focus possible in an accelerating work environment? Who has not felt increasingly overwhelmed by the mix of nonstop demands and new technology that seems to be moving at the speed of light? And who among us has not become frustrated by efforts to get things done well–and on time? The patterns of overwhelm and frustration not only affect our performance at work, but impact our sense of well-being outside the office. And distraction in the workplace is costly. According to a 2006 survey, lost productivity costs companies $544 billion a year, as employees waste almost two hours a day. There is no shortage of tips to reduce stress and reclaim productivity, but distraction isn’t an occasional problem. Instead, it’s like a virus that infects us, according to Dr. Edward Hallowell, a leading researcher in attention and author of the new book Driven to Distraction at Work. Here, he identifies the underlying reasons why people lose their ability to focus at work. The usual solutions like “better time management” and prioritizing a to-do list” don’t work because they ignore the deeper issues that underlie mental distractions. Drawing from his extensive expertise in working with the attention issues of people diagnosed with ADHD an ADD, Dr. Hallowell also describes a separate problem called attention deficit trait, or ADT. If we constantly feel rushed, bouncing from one project to another and multitasking, and trying to get ahead but seeming to always fall behind, working hard but underachieving, we may fall in this category. ADT does not have a genetic basis, but is reaction to the stress and demands of a fast-paced and tech-driven modern culture–a “life at hyper-speed,” where there is pressure to multitask and cope with interruptions, say yes to whatever is expected of us, and be an expert at organization and time management. Dr. Hallowell identifies the six most common ways people lose the ability to focus at work, and explains the underlying psychological and emotional dynamics that drive each behavior as well as suggestions for regaining control over them. Included in this list are “screen sucking” (internet/social media addiction), multitasking (which is now known as a myth), idea hopping (generating creative ideas that never come to fruition), excessive and tension-inducing worrying, playing the hero (rescuing others while ignoring self-care), and dropping the ball (underachieving through procrastination or lack of planning and follow through). In the second half of this book, Dr. Hallowell focuses on retraining attention, so that it becomes less likely to be surrendered in any situation. His 30 years of clinical experience in fine-tuning strategies for optimal performance to fit individual needs is apparent in a comprehensive, rich, and practical list of solutions, organized into five categories briefly summarized below, and also (in his book) captured in a catchy list of ten 3-word bites that can be posted as a reminder. Energy: Monitoring the energy supply to our brains, because “low energy means low focus.” Most people expect to stay consistently focused throughout the day without taking any steps to replenish or maintain their energy, which is impossible. Hallowell suggests practicing the “sensational six” to support us in staying focused: getting enough sleep; eating nutrient-rich foods; exercising; meditating; stimulating our brains (through games, apps, new learning); and creating positive human connections. Emotion: Understanding ourselves and our emotional hot buttons, because negative emotion makes focus impossible. This may include knowing in advance what triggers our negative emotions, so we can learn to manage them, and identifying what inspires more positive emotion for us at work. 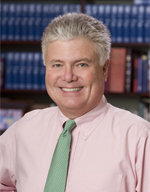 Edward (Ned) Hallowell is a child and adult psychiatrist as well as the founder of the Hallowell Centers with offices in Sudbury, MA, New York City, San Francisco, and Seattle. These centers specialize in the diagnosis and treatment of learning differences, especially ADHD and dyslexia, using a strength-based approach. A graduate of Harvard College, Tulane Medical School, and a Harvard residency and fellowship in adult and child psychiatry, Ned served on the faculty of the Harvard Medical School for 20 years until he retired from academia to devote his full professional time to seeing patients, writing books, and giving lectures and seminars. A specialist in learning differences, Ned’s 1994 ground-breaking New York Times best-seller on ADD called Driven to Distraction brought attention deficit disorder to the general public. He went on to write 19 more books on various psychological topics including several more books on ADD; the transformative force of connection in human life; how to deal with worry; how to forgive; how to raise children so that they will become the adults we hope they will become; how to run organizations so that each employee achieves at his or her peak; and his latest book on how to achieve focus in the modern, highly charged and distracted workplace. Ned’s major contribution to the field of learning has been his strength-based approach to what is usually labeled as a disability. Having both ADHD and dyslexia himself, and having thrived with those conditions throughout his life, he sees them not as disorders but rather as traits that can confer enormous benefit. If those traits are managed well, they serve as assets and turbo-charge success. With decades of experience working with people who have ADHD, Ned has long argued that the gifts offered by those with ADHD are easily lost amid negative comments. His positive approach to dealing with ADHD has helped countless people transform their lives after receiving this diagnosis. He also presents successful strategies for those touched by ADHD: the parents, spouses, teachers and health professionals who work in this field. Ned maintains that when ADHD traits are managed poorly or not recognized at all, disaster can ensue. And the stakes are high. For this reason, Ned is rather messianic in getting the message out to recognize and capitalize on these traits, which he calls “The American Edge.” The people who colonized this country were loaded with the ADHD genes, hence our current gene pool is well stocked with ADHD. It has driven our greatest successes–but is also why we are such a violent nation. Ned has appeared on every major TV show including Oprah, Good Morning America, The Today Show, CBS Morning Show, The View, Dr. Oz, Dr. Phil, 60 Minutes and CNN. He has been interviewed for The New York Times, USA Today, Newsweek, Time Magazine, U.S. News and World Report, the Los Angeles Times, and many other leading publications. Ned gives from 50-75 talks a year around the US and abroad. He speaks on ADD, learning differences, the mind of the entrepreneur, how to raise children in today’s world, how to deal with toxic worry, how to create a humanly connected life in an electronic age, how and why to forgive, and how to bring the best out of people in organizations. 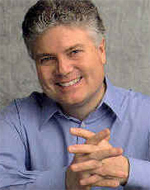 In recent years, Ned has turned his attention to how ADHD, ADD, and Attention Deficit Traits operate in the business world, encouraged by technological developments, accelerated and increased demands, and such notions as “multitasking.” Coaches will appreciate Ned’s book Shine (an acronym for Special Help Integrating Neurological Experience, which presents best strategies for career selection and the importance of working in a “positively connected environment” that is high on trust and low on fear, high on encouragement and low on put-downs, and high on both challenge and support. Other key factors contributing to “shining” at work and in personal life are opportunities for continued learning and using play and imagination, when the brain is operating at its highest level and creating spontaneous new solutions and adaptations. His books Crazy Busy and Driven to Distraction at Work also address essential topics that frequently surface in coaching: prioritization, setting boundaries, focusing attention, achieving work-life balance, and important foundations for success and well-being such as adequate sleep, exercise, nutrition, emotional management, and relationships. In fact, the cornerstone of all of Ned’s work is the power of human relationship. He prescribes “human moments” over “electronic moments,” and touts the power of what he calls “the other Vitamin C: Vitamin Connect.” In his talks and books he shows that no force in all of human existence powers more growth, health, and productivity than the power of human connection. Be it treating ADHD in his clinics, writing about the wide range of topics he addresses in his books, or speaking from the many stages on which he’s appeared, Ned comes across as genuine, humorous, transparent, and passionate about his calling. He thinks in metaphor, creating pictures and presenting stories that make his message more memorable to every listener. Ned lives in the Boston area with his wife of 25 years, Sue who is a social worker, couples’ therapist, and coauthor of their book Married to Distraction. Also in residence is their Jack Russell terrier, Ziggy. Over the years, Ned has truly “walked his talk” in managing a busy life by spending a full summer month at the aptly-named Lake Doolittle, where his family connected and slowed down, doing just what they wanted to do. As of 2014, his three grown children had all “left the nest” to explore their individual passions. 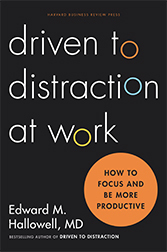 Download Driven to Distraction At Work introduction, where you can learn, about Attention Deficit Trait (ADT), and how to overcome the six most common distractions at work. Could you go on a Tech Diet? How to thrive at work with ADHD, Audio interview with Ned (accompanied by slides) by Moe Abdou, host of 33 voices. About 20 minutes, includes discussion of entrepreneurship and work. The key to being productive at work. Psych Central, February, 2015. Do You Have a Severe Case of Modern Life? Tips to Focus and Succeed Shortened version of listing just above.